Highlands Hospital Auxiliary was formed in 1924 and has contributed an amount over $450,000.00 to the hospital. The purpose of the auxiliary is to render services to Highlands Hospital and its patients and to assist the hospital in promoting the health and welfare of the community. 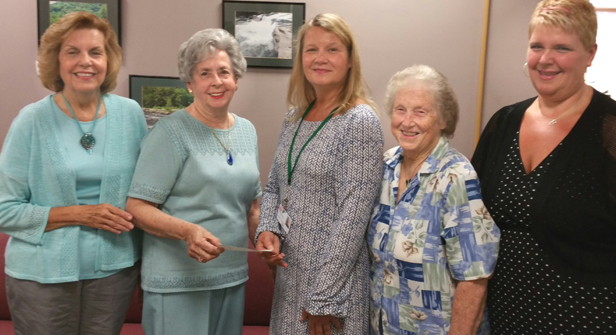 The Auxiliary is a broad-based group of members representing a variety of interests and talents. Membership is open to both men and women of all ages. Individual talents are always recognized and utilized within committees for the Auxiliary projects. Throughout the year we have a number of fund-raising activities – some annual and some that are new each year, including a spring Luncheon and Style Show with Chinese Auction, Book Sales (Spring and Fall) Jewelry Sales (spring and Fall) Bake Sales, and Festival of Christmas Trees. Other fund-raising activities are also held during the year. From these fund raisers we have been able to make a sizeable contribution to the John P. Murtha Wellness Center, helped with the renovation of the hospital second floor, the emergency room and signage throughout the hospital; helped to purchase the hospital van for Highlands Healthride, monthly donations for mental health activities and fuel for Highlands Healthride. Most recently we donated the money for a new utility van. We currently provide BooBoo Babies for children who come into the hospital lab, x-ray department or emergency room for treatment which are made by auxiliary members and friends of the auxiliary. Anyone who is interested in participating in this project would be more than welcome and may contact any auxilian for more information. The auxiliary also runs the hospital gift shop and is always looking for volunteers to work there. The gift shop is open Monday through Friday,9:00 a.m.to 4:00 p.m. The Auxiliary meets on the first Monday of the month, excluding holidays, September through June. We do not meet during July and August.